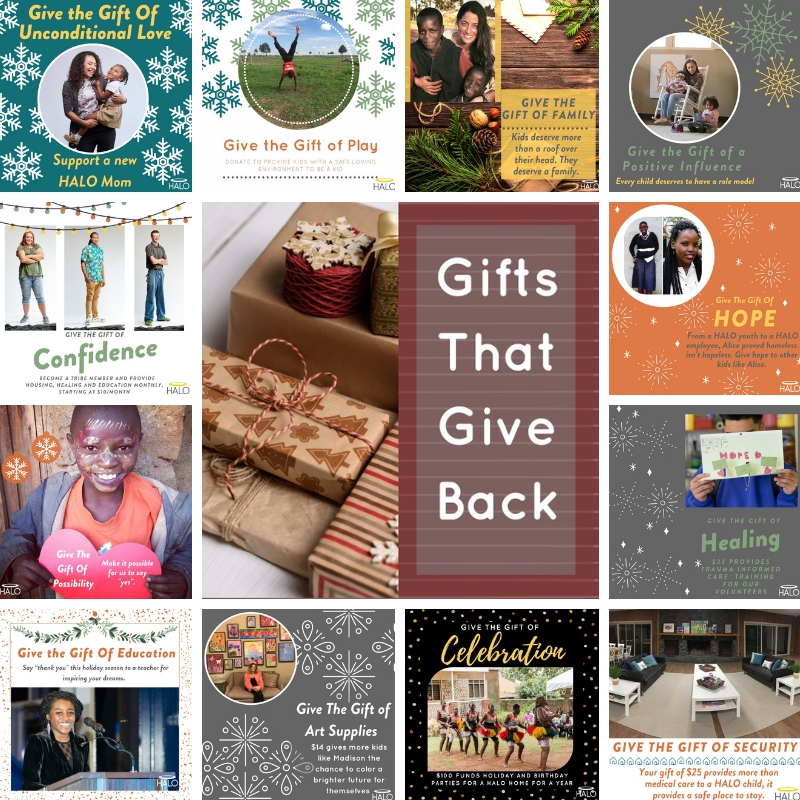 If you are looking for a way to redefine the giving spirit this holiday season, get some inspiration with our gifts that give back. Your gift of $25 provides more than medical care to a HALO child, it provides security. For Madison, a successful HALO artist, art is more than just a creative outlet. Art gives a language to what is difficult to verbally express. It can spur growth, act as a window into the mind, and breathes beauty into emotions and the inner thoughts that are hard to articulate in any other medium. Your gift of $14 provides art supplies every month in the HALO Learning Center to give more kids like Madison the chance to color a brighter future for themselves. Homelessness hurts. Art heals. Learn more on Therapeutic Art. Founder Rebecca Welsh said, "When we tell a child that she's valued, that she's an absolute treasure, and then finally she believes it, that's when we see the best of this world. That's the magic of love...she then slowly becomes a force that can and will defy the odds." For many of our HALO kids, so much of their life is out of their control. They suffer through uncertainty, loss, and being told they are not enough. HALO represents a sanctuary where they can come and be themselves.But we also have a duty to provide them with tools for when they are outside of HALO’s physical space. In a safe environment, we can learn what positive self-talk sounds like. Cultivating self-love is so much more than doing something nice for ourselves. It’s about building a framework of how we view ourselves which impacts how we react to the world. Become a Tribe Member and provide housing, healing and education monthly, starting at $10/mo. Your donation allows our HALO moms to keep that promise. Say thank you to your mom by giving her a holiday gift she will always remember. Meet Amari, HALO child, and mother to Zari. “HALO gave us a safe place to unleash our creative sides, by drawing, learning work trades, sharing our up’s and down’s. I loved going to HALO every Wednesday – just being there healed me. You guys understood what we were going through, you listened to our problems and not a lot of people listen.” – Oscar, Age 24. Your support of HALO gives kids like Oscar the opportunity to heal what’s been broken. Every HALO volunteer is trained in Trauma Informed Care, to help kids come back from the edges of their community, so they can someday play a role in shaping it. 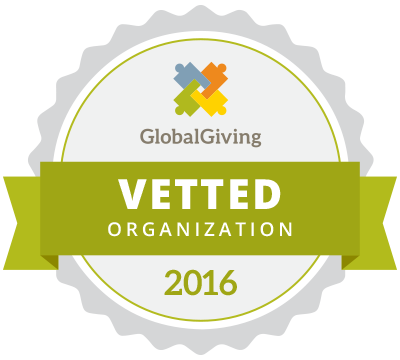 Give time or make a donation of $33 to provide trauma informed training for our volunteers. Learn more about Trauma Informed Care. Tiana always knew she wanted to go to college, but was struggling to find money for tuition. Today, she is set to graduate in May with a double major – International Studies, Political Science – and a double minor – Business Administration, World Languages. Your support helps kids like Tiana overcome their obstacles and achieve their dreams. Honor a teacher who has impacted your life as a way to say “thank you” this holiday season for inspiring your dreams. Read more on Tiana's Journey. Honor your friend with a heart for others and a desire to give back, by giving the gift of hope to a HALO youth in their name. When Kelvin and his brother Alvin came to us as 8 and 6 year olds, we had no room for them. Their mother had just died, and they were alone. Kelvin begged, “if you can’t take me, take my brother”. We took them both. There are thousands of kids who are alone around the world just like Kelvin. Your donation provides HALO youth with a home they have never had. Say thank you to a role model in your life by giving a HALO youth a chance to have a role model in their name. Learn how we help our kids differentiate between a positive or exploitative relationship in their lives. HALO is not just a program, its the foundation of a family. We don’t cut off relationships with our kids because of their age and if state funding stops. HALO kids sit around the table with us on the holidays, they call us when they need help filling out their loan applications, we celebrate milestones like new jobs and getting into school, we call on the HALO Family to help them get furniture and move when they need it. 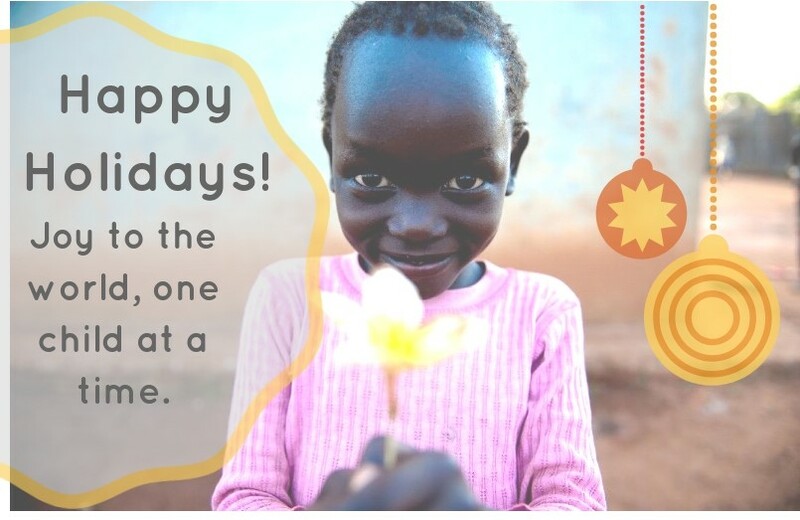 Your gift of $100 funds holiday and birthday parties for a HALO Home for a year. Children should have a chance at a happy childhood where they are cared for and loved, because frankly, it is their human right. For so many children around the world, HALO represents the day their entire life changed. The day where they finally had a safe place to stay, didn’t have to worry about the world around them, and could focus on being a kid. Your donation provides a kid with the safety and security of a loving environment and the chance to be a kid again. There is a devastating epidemic of drug addiction in our country. This issue has had a paralyzing trickle down effect on innocent children who live in the shadows on almost every corner of our nation. These children are not seen, they are abused, afraid, they are abandoned, and alone. Some cities have seen youth homelessness triple in less than 10 years. Our foster system is crippled by the sheer number of children who need our help, our schools are struggling to meet their education needs, and our communities are unaware of this issue. By giving a donation, you make it possible for us to say yes to these children and go above and beyond for them, like a family would. Become a tribe member now. Our youth are coming through our doors from unstable living situations, food is always on their minds and in high demand. They have families that are going hungry, are unable to get to food pantries, or have other circumstances that keep them at "not enough." Oftentimes, our youth work to help feed their siblings or families, while also going to high school, getting good grades, and just trying to be a kid. At HALO, we have committed to always being a source of support and comfort for our youth, and that now includes this basic need. We want any child that comes through our doors to have access to a warm meal or snack in order to create an environment where hunger is not a barrier to learning a life skill or interacting with others. For $0.25, you can provide a warm meal, love, and support to youth who need it most.